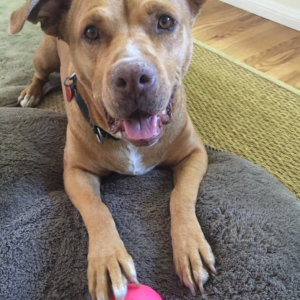 Radar Love: This Much Love Dog Gives Back By Doing Homechecks! Radar has done over 100 home checks–he wants to visit you today! 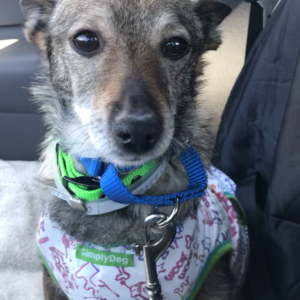 Radar, formerly know as “Little Tuna” when he was up for adoption as a Much Love dog, has done over 100 home checks for potential foster and adoptive homes for us! 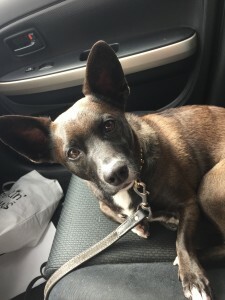 Radar’s parents, Larry S. and Jeanne P. are some of our most generous supporters, and Larry, Radar’s proud papa, is a lead volunteer and home checker extraordinaire. But the key to Larry’s mojo is his co-pilot Radar. Radar was adopted on 10-20-11 when he was about 3 months old. His Mom was also a Much Love dog, Mahi Mahi (get the theme here?) and broke water in the back of one of our Board members’ car on the way from the South Central Shelter. Apparently shelter dogs try to hold off from giving birth until they get out of the shelter, and when Radar, in utero, sensed he was in a safe environment, he began to swim to shore! “Little Tuna” was too big however, and Dr. Lavac had to do an emergency c-section after 6:00pm on a Friday…..what a dramatic tale! But if any of you have ever met Radar–maybe he did YOUR home check?–you know he put that drama behind him and is the mellowest of sorts! 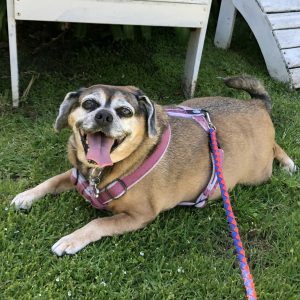 We hope that this tale of a Much Love dog paying it forward inspires you to foster for or adopt from Much Love. Fostering is the back bone of our rescue effort–the more foster homes we have, the more dogs and cats we can get out of the shelter. It’s just that simple. Let Radar’s hard work point you in the direction of bringing a Much Love dog or cat into your home. Please contact us at info@muchlove.org if you have any questions or to get the process started!